Xiaomi unveiled its latest high-end smartphone — the Mi 9 — at an event in China this week, setting the expectations for its upcoming crop of 2019 flagships. The company’s penchant for aggressive pricing continues with the Mi 9, and while that may put the phone in the “affordable flagship” category, it won’t be out of place among far more expensive competition. Price is no longer as clear an indication of performance and features as it used to be, thanks in large part to the Pocophone F1 (Poco F1 in India). The Snapdragon 845-toting smartphone from the Xiaomi sub-brand gives lower-specced mid-range devices a run for their money, undercutting even the affordable Mi family’s prices by a decent margin. In this quick look at the Xiaomi Mi 9 vs Pocophone F1, we find out how Xiaomi’s latest and greatest compare to its unsurprising hit of 2018! The Xiaomi Mi 9 is a beautifully designed phone with two glass panels sandwiching a metal frame. Instead of relying on gradient colors like other Chinese phones, the curved back of the Mi 9 gives off a holographic vibe, with color that shifts depending on how the light hits it. Up front is the more subtle waterdrop notch that definitely seems like the better design choice if you absolutely have to go the notch route. On the other hand, the Pocophone F1 may be difficult to pick out from a lineup of last year’s mid-range devices with its large iPhone X-like notch. The polycarbonate back seems to be the compromise keeping the price as low as it is, and even the “premium” Armored Edition isn’t much of an upgrade. It’s not poorly designed or constructed, it just seems out of place when even ultra-affordable phones are coming with metal and glass builds. 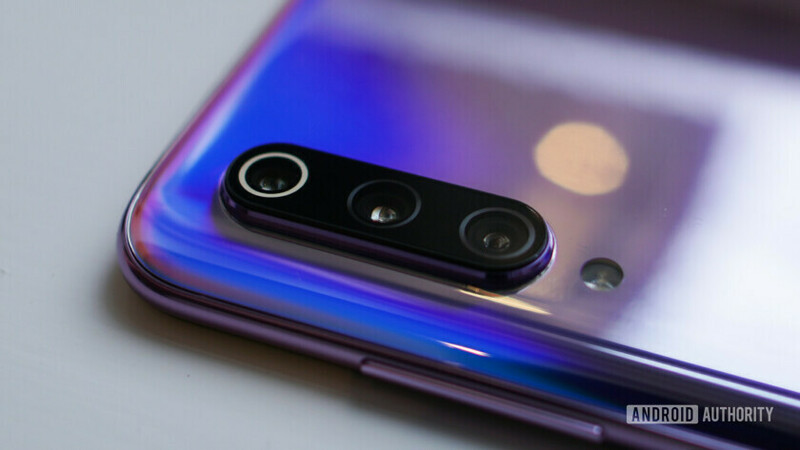 The Xiaomi Mi 9 is also thinner, narrower, and a touch lighter than the Pocophone F1, and the only real similarity between the two phones can be seen at the bottom of the two, with two speaker grills flanking a USB-C port. It’s no surprise the Pocophone F1 loses the design battle to the Xiaomi Mi 9, which is excusable considering it costs at least $200 cheaper. Things get a lot more even on the hardware side of things. The Xiaomi Mi 9 display is a 6.39-inch AMOLED panel with Full HD+ (2,340 x 1,080) resolution and 19.5:9 aspect ratio, while the Pocophone F1 features a 5.99-inch IPS LCD display, also with a Full HD+ (2246 x 1080) resolution and an 18:9 aspect ration. Unfortunately, neither are best-in-class displays. The AMOLED screen of the Mi 9 has a leg up over the LCD display of the Pocophone F1, providing richer and more vibrant colors and deeper blacks. The F1 appears to get a touch brighter, when you crank up the brightness. The Pocophone F1 is a $300 phone powered by the Qualcomm Snapdragon 845 processor, backed by either 6GB or 8GB of RAM and 64GB or 128GB of built-in storage. Having a flagship processing package and more RAM than competition double or triple its price is reason enough to go for the Pocophone F1. Many premium mid-range phones tout flagship-like speeds, but you get true high-end performance with the F1. Of course, the Xiaomi Mi 9 once again has the advantage over the Pocophone F1, and every other 2018 flagship, by being one of the first smartphones to come with the new Qualcomm Snapdragon 855 processor. Bump in performance aside, the Mi 9 also comes with 6GB or 8GB of RAM and 64GB or 128GB of built-in storage. There’s also a special China-only edition with a whopping 12GB of RAM and 256GB of storage. The Xiaomi Mi 9 now use a Goodix in-display fingerprint scanner that can also be used to access three shortcuts with a long press. These shortcuts are locked to scanning a QR code, performing a web search, and adding a calendar even for now, but a future update will allow you to remap them. The Pocophone F1 keeps a traditional capacitive fingerprint sensor on the back, which has proven impressive. The Pocophone F1 has a couple of advantages over the Mi 9. It comes with a headphone jack, unlike the Mi 9, which forces users to rely on the 3.5mm to USB-C adapter to use a regular pair of headphones. The F1 also comes with a larger 4,000mAh battery than the 3,300mAh unit of the Mi 9. What is exciting about the Mi 9 is how fast you can charge the phone. Xiaomi introduced a new battery charging tech called Charge Turbo, which supports up to 27W wired charging and 20W wireless charging with supported chargers. This means you can fully charge the phone in just over an hour when plugged in, or around an hour and forty minutes with wireless charging. You get a standard 18W wired charger in the box and the 27W charging brick is available separately. The Pocophone F1’s dual rear camera setup has a 12MP main sensor with an f/1.9 aperture and a 5MP depth sensor. Smartphone photography isn’t the F1’s strength and is slightly inconsistent. It is capable of taking some excellent photos as long as the lighting conditions are right. It’s definitely not a bad camera setup, especially for the price. However, in the Xiaomi family, the camera performance of the F1 is more in line with the Redmi Note series than the flagship Mi range. Xiaomi went all out with the camera setup of the Mi 9. It’s the first Xiaomi smartphone to join the “triple rear camera” club. At the top is a 12MP 2x optical zoom lens with an f/2.2 aperture and the third is a 16MP sensor ultra-wide angle lens. The middle one is the exciting new Sony IMX586 48MP sensor with an f/1.75 aperture lens. However, you’ll have to manually switch to 48MP shots in the settings for when you want large, detailed shots in good lighting. We can’t wait to put the camera of the Mi 9 through its paces, but DxoMark already gave it a score of 107, putting it just behind the Huawei P20 Pro and the Mate 20 Pro. The Pocophone F1’s above average score of 91 doesn’t hold a candle to it. In the markets where it’s available, the Pocophone F1 starts around the $290 mark and goes up to the $400 mark for the higher-end 8GB of RAM and 256GB of storage version. The Mi 9 starts at 2,999 yuan (~$445) in China, while the 8GB of RAM and 128GB of storage version costs 3,299 yuan (~$490). In Europe, the Mi 9 prices are set at 449 euros (~$509) and 499 euros (~$566) for the 6GB/64GB and 6GB/128GB models respectively. The Xiaomi Mi 9 is definitely the better phone, unless not having a headphone jack or expandable storage is an absolute deal breaker for you. The beautiful design, colorful body, more powerful processor, better display, and far superior camera setup are hard to argue against. The Pocophone F1 gets a bad wrap because of the expectation its high-end processing package sets. If you take the phone for what it is, a mid-range device with blazing fast, flagship performance, it blows the competition in its price range out of the water. The Pocophone F1 also set a precedent — we could potentially see a sub-$400 smartphone powered by the Snapdragon 855 at some point this year, which is incredible. All said and done, both the Xiaomi Mi 9 and the Pocophone F1 offer unbelievable bang for your buck and will continue to shake things up in their respective categories. Xiaomi Mi 9 global pricing and availability: Who wants a flagship for under 500 euros?